HOPE Clinic celebrated its 15th anniversary today with a luncheon at the Junior League in Houston. Community supporters, donors and medical staff volunteers also came together to honor the faith-based clinic’s history of helping Houston’s low-income families get professional medical treatment for free. 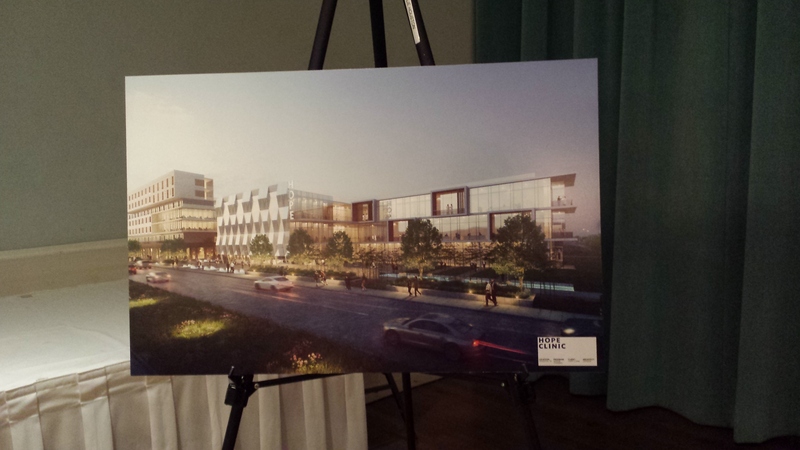 The clinic also announced plans for a new permanent home. The fundraising luncheon recognized its founders, board members and community supporters, Rogene Gee-Calvert, Beverly Gor, Karen Love, Dr. Vivian Ho, Dr. Andrea Caracostis and sponsors. 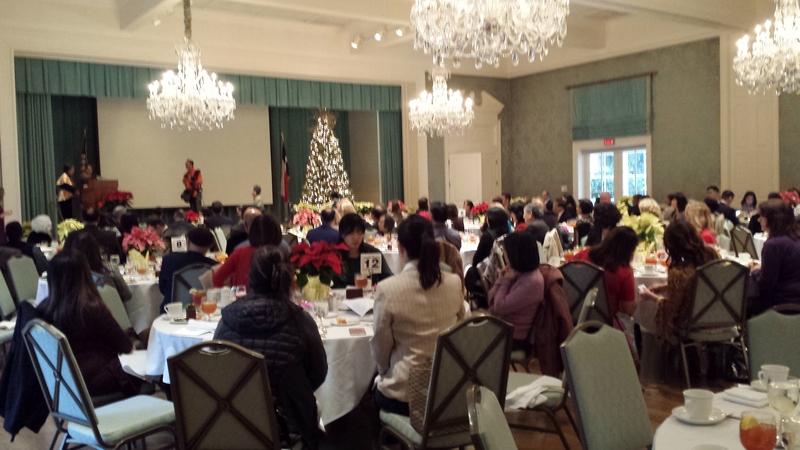 Chau Nguyen was the Mistress of Ceremonies and Honorary Chair Gigi Huang welcomed everyone to the luncheon. Peter Tso sang the National Anthem. Reverend Jim Love said the prayer. 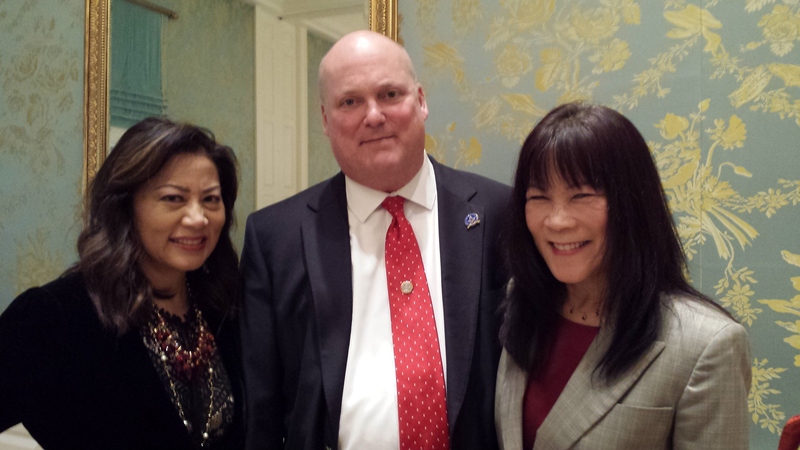 Sandra Gin, Tom Tynan and Suzanne Debien were among those who attended HOPE Clinic’s 15th Annual Luncheon. The Asian American Health Coalition opened the first HOPE Clinic in racially diverse Alief in 2002. The volunteer-staffed medical clinic opened four-hours-a-month as a non-profit clinic that served Asian patients who spoke little or no English. After Hurricane Katrina, the HOPE Cinic was recognized for providing services to 3,000 of the 15,000 Vietnamese evacuees from Louisiana. Since 2002, the HOPE Clinic has become a full-time Federally Qualified Health Center. Today 150 staff members at 3 locations serve over 70,000 culturally diverse patients a year, whether they are uninsured or unable to pay for professional medical treatment. This entry was posted in Asian Community, Asian Community Houston, Asian Community News, Community Events, Harris County News, Health News, Houston News and tagged HOPE Clinic celebrates 15 years, HOPE Clinic Houston, HOPE Clinic Houston Luncheon. Bookmark the permalink.